Now, I have to admit that I’m unsure if this qualifies as “writing tips” or not, but I can’t seem to think of another way to explain it other than to explain recent events in my life and how I got to this decision to post about this. On Friday night, I was driving home when I was hit by a drunk driver. Everyone was physically fine, but these moments often make you take a step back and wonder “what if?” or simply reflect on life. It’s also Mother’s Day, and, as many of you know, my mother passed away in 2003, so there’s been a lot of personal reflection happening for me over the past few days, and I wanted to share my thoughts on how reflecting can help your passionate spark if you feel as if it’s about to die. Happy Mother’s Day. 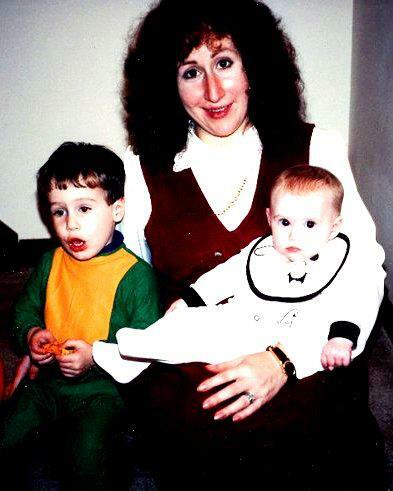 This is Halloween, 1992, with my mother, my brother, and I. I was a ghost :] Probably perfect considering my paleness. Now–the bigger reflection: I’ve had more experiences in this sort of stuff than I’d like to admit to myself, but they always cause me to look back, and my childhood is often where I end up. I cannot say why this is other than it’s caused by a “flashback” sort of a thing. I begin thinking about what I’m grateful for, who I love, what I love, and everything that moves me from one day to another. But I’m going to concentrate on writing, because I want to stay in the “writing tips” as much as I possibly can. I think this can be very important to remember, but, even more so, to return to every piece once in a while and read. Include first books, middle school reads, and beyond. On days where you’re feeling down, especially about writing, returning to these texts can spark your passion again, easily and without any strenuous effort. All you have to do is read, and you might be amazed at how quickly you’ll return to your timeless love for language, even if the original texts are simple and/or wouldn’t spark interest today if you hadn’t read it before. Mine, as an example, includes childhood novels about Nancy Drew and Scooby Doo, young-adult series by Meg Cabot or Lynne Ewing (specifically Daughters of the Moon), and adult novels, generally memoirs like Mop Men, Extremely Loud and Incredibly Close, or A Long Way Gone. I can even return to literature I loved in school, my favorite being The Stranger. 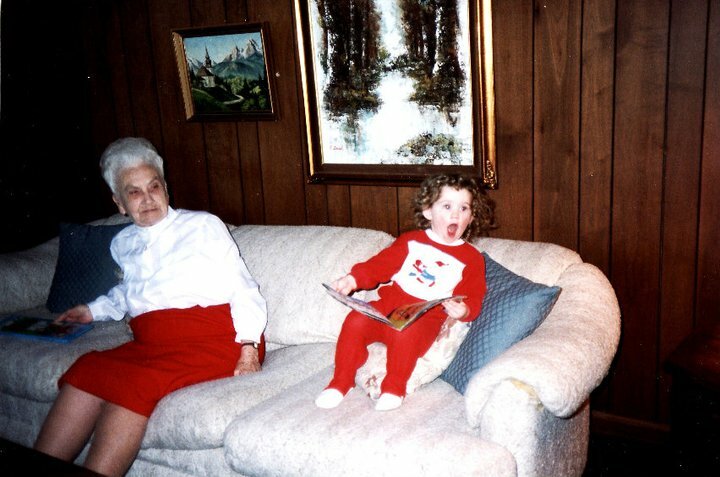 As a comedic picture: this is me, shocked by novels, at 3 years old, and my great-grandmother quite thrown off by my craziness. These moments can bring back the original moments that brought you the utmost happiness before other moments brought you down. You can return yourself, especially to childhood, when you first started writing and you didn’t have the stresses of publication or critiques. These memories, although little, are very powerful. My personal example? In second grade, my short story about my two dogs, Milo and Max, won the class writing competition, and I got to read it to the class. I still have it, and the drawings and wording often makes me giggle, but it also lightens my writing soul. I go right back to that podium, when I was fearless, and I feel it transition to today’s time. Think beyond the top five people who inspire you today. Try to recall the first few who you may not remember on a regular basis but know that they linger somewhere in your artistic past (meaning they’re also in your artistic self today.) Most of the time, you might remember one, but then you’ll remember more and more, and you’ll soon have a list of small instances that led to your wonderful path you’re on today. My personal example here is my fifth grade teacher, Mrs. Metcalf. She was the first teacher to pull me aside and encourage my writing. When I was first writing back then, I was started my stories off with “Hi. I’m Henry, and this is my story…” and she taught me to start in the middle of action. I wrote her a story for Thanksgiving Break, and it started with a turkey running wild through a grocery store. Looking back on it, it was cheesy and poorly written, but she returned, having read the entire twenty pages, and encouraged me more and more, teaching me what else I could do in order to enhance my words. I was nine at the time, yet her teaching lingers today, and I’m grateful to have had such a wonderful teacher in my life at such a young age. My hope is that you may take a moment today (or any day) to reflect on the moments that have brought you here today and remember never to give up on your dreams! It may seem cheesy, but it is, ultimately, very true, and I’m sure many of you know this, but many also have fleeting moments of doubt, and we can prevent these by reminding ourselves of what matters: life, love, and passionate dreams. I always tell myself to write with passion; succeed with self-discipline. This is my personal philosophy, but I’d love to hear yours as well. Share below and spread the dream to others who may be struggling at this very moment in time (whether they read this today or two years from now.) Words are timeless. Let’s use that to embrace the love of art. I leaned against the desk, ran my hand over my father’s paperwork, and picked up a pen. Turning around, I shoved it into my father’s hand. “What’s this?” he asked, raising a brow.